Faizal R: Google Chrome extension has crashed! 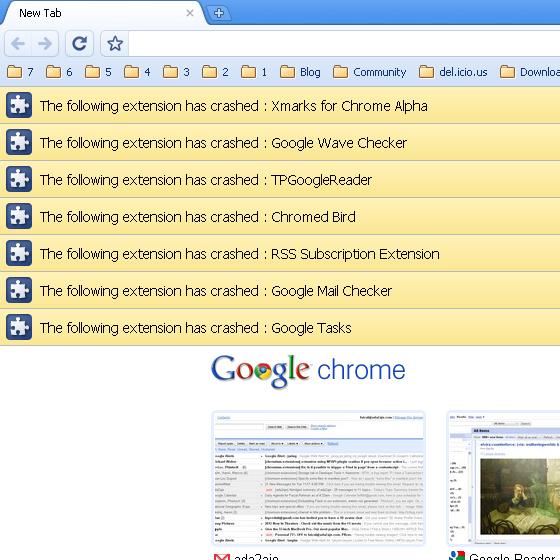 Google Chrome extension has crashed! Crash! Crash! Crash boom bang! Flop!